Brian Blum, business manager of Prestige BMW in Ramsey, N.J., says the move to electronic contracts has "far exceeded my expectations." Brian Blum of Prestige BMW clicks off the advantages of closing vehicle sales electronically. The giant dealership in Ramsey, N.J., outside New York, gets paid by BMW Financial Services the same day if an e-contract is submitted by midafternoon, says Blum, Prestige BMW's business manager. The electronic contract is checked automatically for errors and omissions. And time saved not correcting mistakes in paperwork is time with the customer, selling product and accessories, he says. "It's far exceeded my expectations," he says. Few dealers, though, have had a chance to try it out. Even believers like Blum and vendors that provide the service concede that far fewer than 10 percent of dealerships do contracts electronically, even though technology has been around for at least seven years. "There are impediments to adoption, says Chris Morris, senior director of product planning for finance and insurance at Reynolds and Reynolds Co. Reynolds is one of the industry's leading dealer software providers. -- Most F&I staff have never used it and are reluctant to go through a learning curve to gravitate away from familiar paper forms. -- Some of the nontransaction forms used in a car deal, such as extended warranty, title and driver's license photocopy, are not available electronically, making for extra steps to close a sale or lease. -- Some lenders insist on paper documents with tamper-proof signatures in order to appease investors that buy securitized bunches of loans in the secondary markets. When the store began electronic contracts seven years ago, Forteleoni says, he experienced resistance from F&I staffers used to doing business with paper forms. He compromised with them: They could close a deal using paper forms instead of electronically, but each exception required the staffer to write a 900-word explanation of why paper was used instead of e-contracting. "You can guess how it turned out," Forteleoni says. He says the financial case was just too compelling for e-contracting. About half the 1,000 new Nissans he moved in the first five months of 2010 were leases, with the vast majority of bought and leased vehicles financed by Nissan Motor Acceptance Corp., he says. 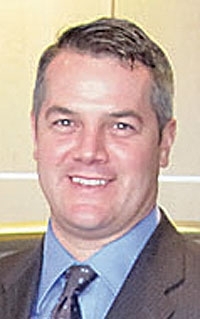 The fast-pay feature of using e-contracting means the dealership can get its money from the captive the same day the deal is made instead of waiting two days or more in nonelectronic transactions, Forteleoni said. The dealership has to draw on its working line of credit to cover the wait, potentially costing thousands of dollars in interest over the course of the year. With e-contracting, he says, "It's money in the bank instead of money out of the bank." Forteleoni says the store uses DealerTrack Inc.'s e-contracting software, a pioneering product in the field seven years ago. Blum at Prestige BMW says his store does e-contracts with a product developed by Reynolds and Reynolds in conjunction with BMW Financial. He says the software virtually eliminates paperwork errors in the transaction process by automatically flagging any omissions and verifying fluctuating items in any deal such as interest rates, residuals and even sticker prices. Those functions smooth preparation for closing the deal and give salespeople the chance to sell other items, Blum says. It also saves on having to call a customer back in for a signature or contract correction that is detrimental to customer satisfaction. "The system has checks and balances," Blum says, "so that you can't make an error."